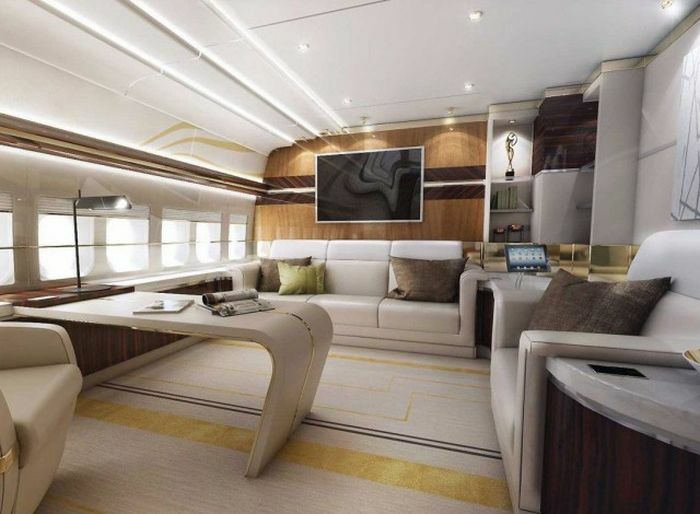 In order to meet customer’s demand, Airbus and Boeing started selling VIP versions of their aircrafts, Airbus Corporate Jet and Boeing Business Jet. 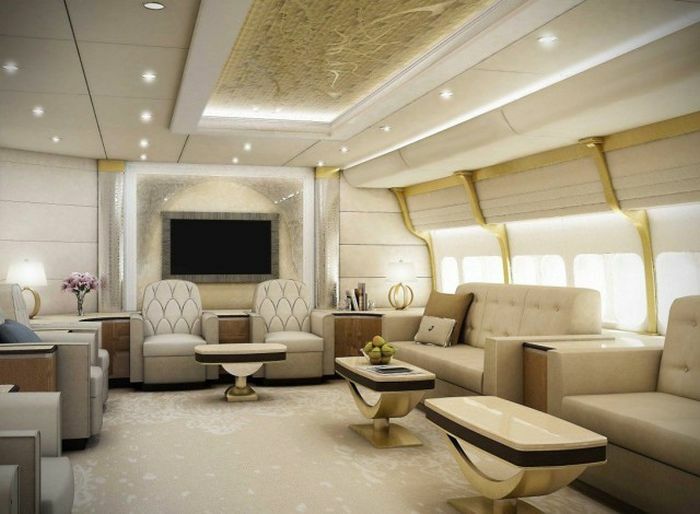 Even so, a very wealthy client preferred to buy a customized Boeing 747-8 aircraft, which was created by a company called Greenpoint Technologies of Kirkland, Washington. 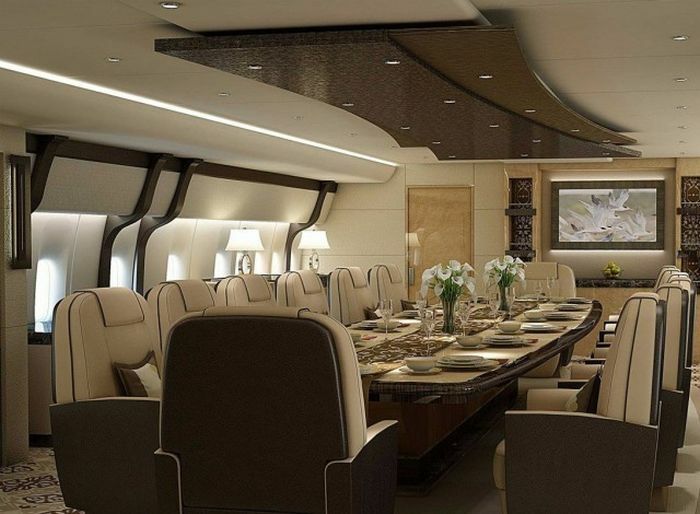 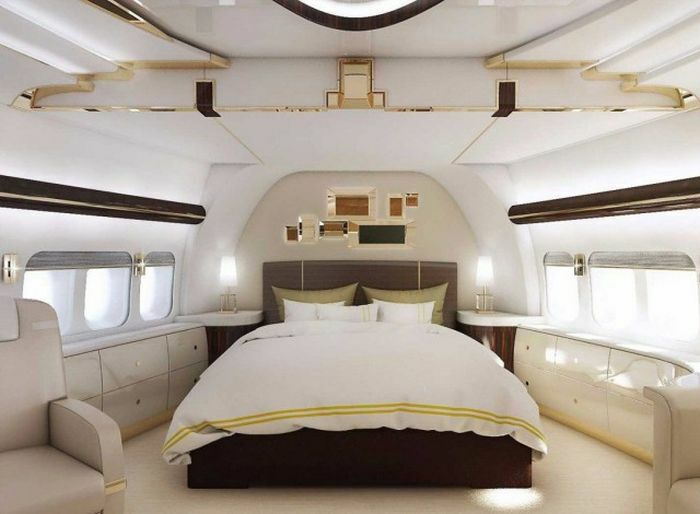 The luxury aircraft provides a space of 445 square meters (4,786 sq. 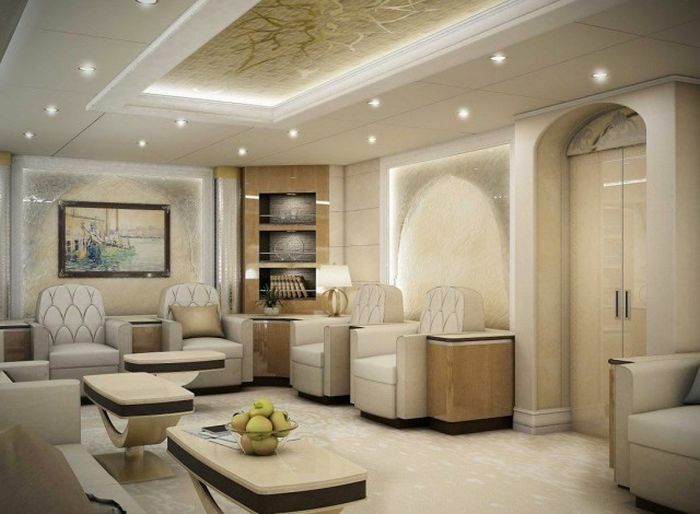 ft.), equipped with several private cabins, a luxurious saloon, a desk and a huge living room. 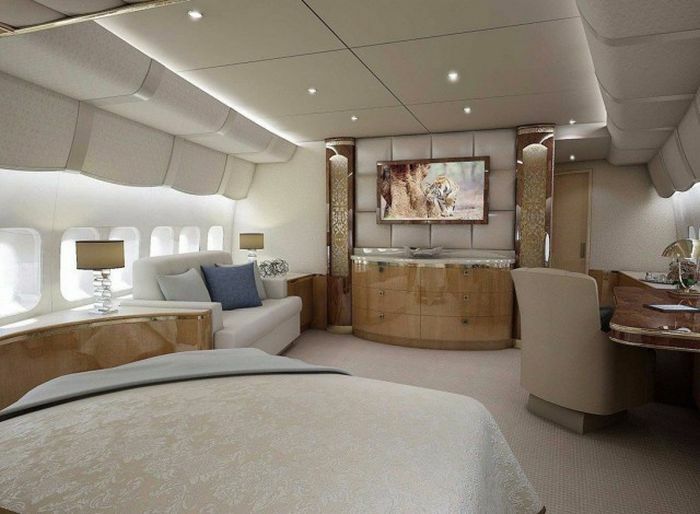 Boeing 747-8 VIP is the longest and the second largest commercial airliner ever built luxury. 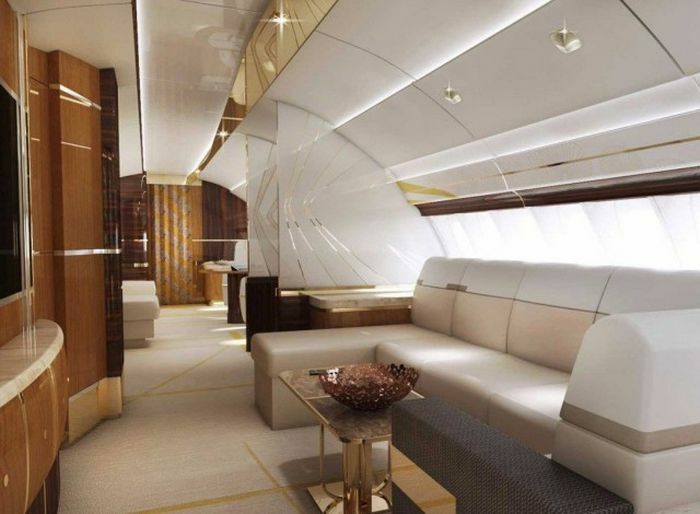 It has four General Electric GEnx engines and it can fly almost uninterruptedly for 8000 miles (around 15,000 km). 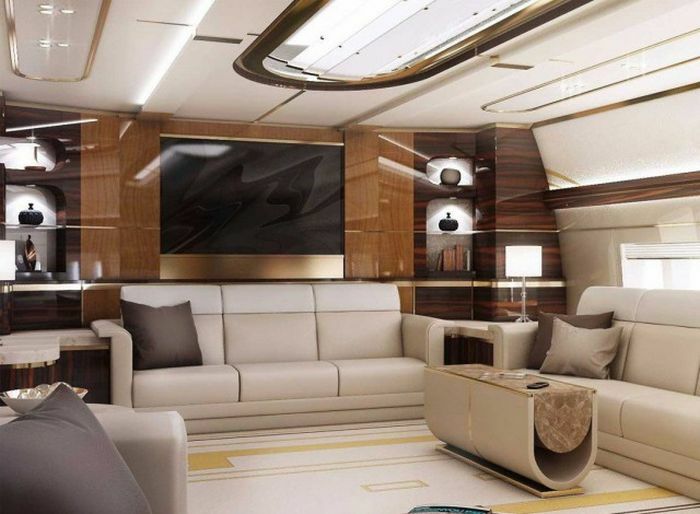 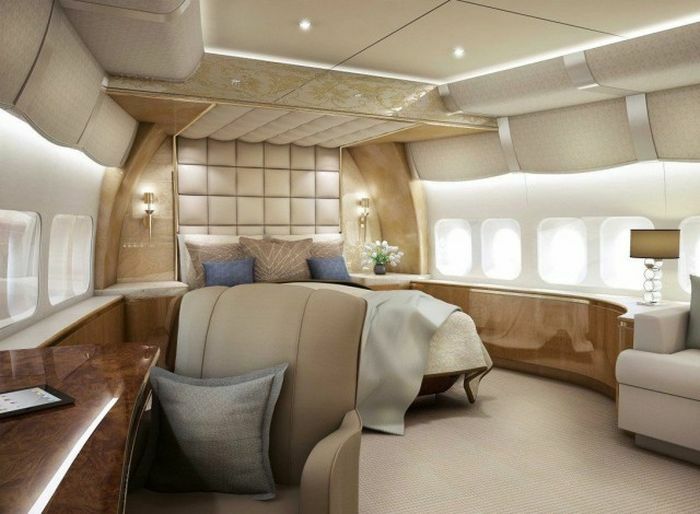 The plane without all these custom interiors costs $367.